The Cottage is situated just off the A87 between Dornie (which boasts the world famous Eilean Donan Castle) and Balmacara which is just 3 miles from Kyle of Lochalsh. Carry on the A87 after Dornie for about 2 miles until you come a left turn signposted to NOSTIE and AVERNISH. Turn left and follow the signs for Seadrift B&B. You will see the Cottage on the left when you turn left down the track to Seadrift B&B. There is a daily rail service from Inverness which has some of the most scenic views in Scotland. 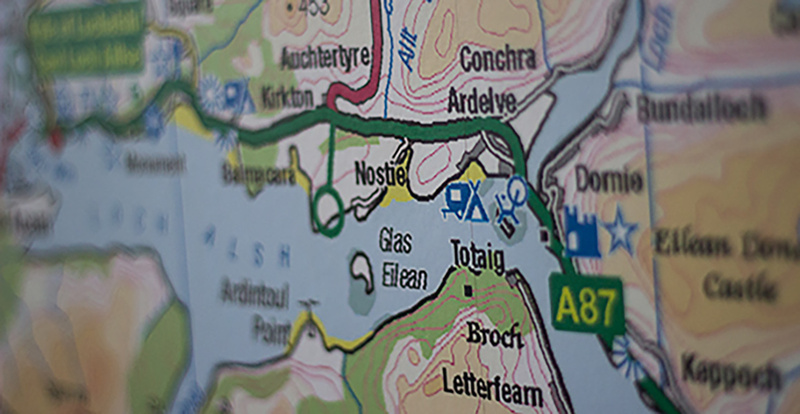 When you arrive in Kyle of Lochalsh you can get a local Taxi to take you to Shingle Bay Cottage.